Aidy Westlake is back!! 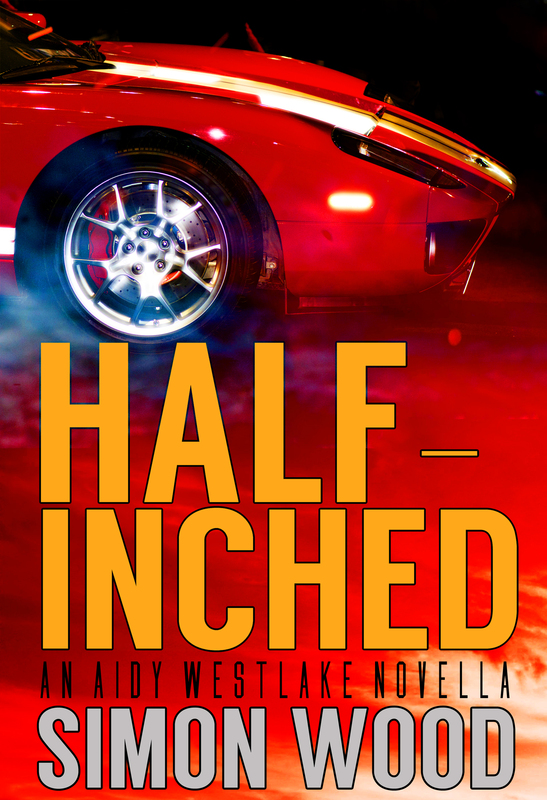 The full-time racecar driver and part-time investigator returns in HALF-INCHED. Again, Aidy and his crew are up to their necks in trouble. The storyline is as follows. The book comes out on Christmas Day but you can preorder it from Amazon and Amazon UK. I hope you enjoy it. 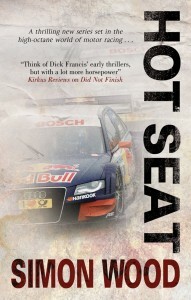 BARGAIN BOOK OF THE WEEK: Get Into The HOT SEAT! The second Aidy Westlake mystery, HOT SEAT, is the book of the week. 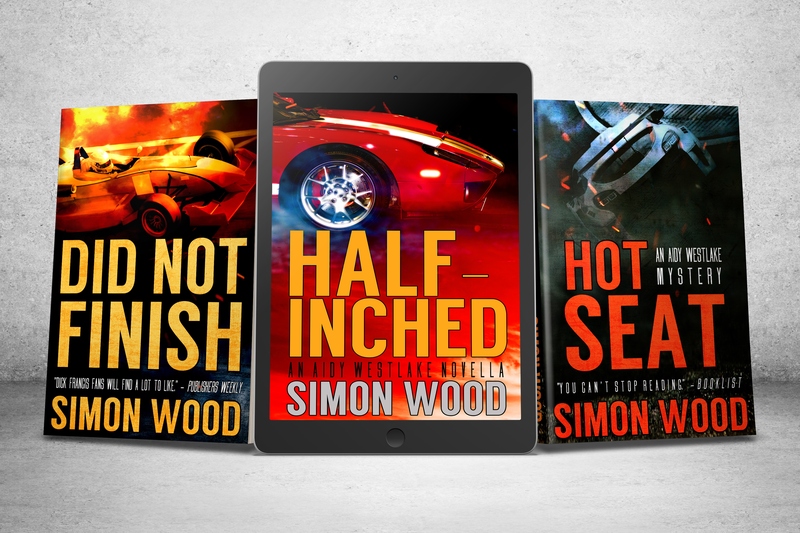 The eBook is 99cents at Amazon, 99p at Amazon UK and $1.99 at Audible. 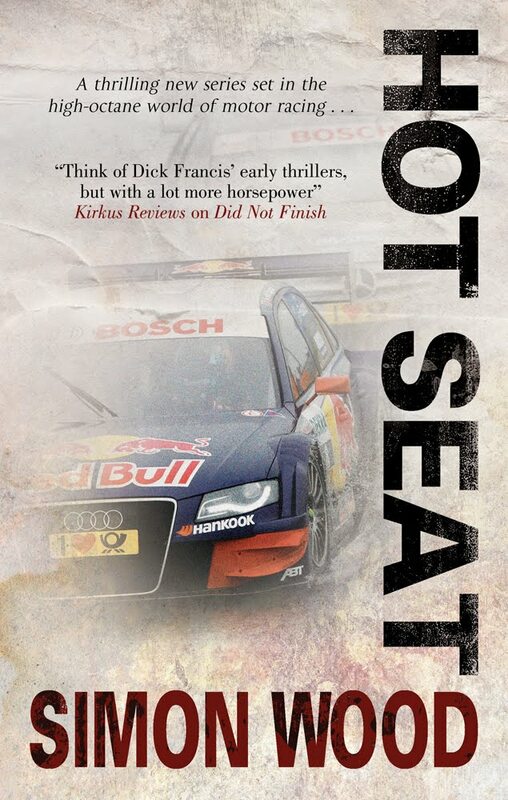 Now you’ve got no excuse to climb into the HOT SEAT! As I’ve mentioned before, I cycle instead of race now. I usually cycling alone, but I do ride with a small group of cycle chums on Thursday nights we resume our rides after the winter hiatus tomorrow. The thought of this remindes me that, last year, one of our gang was killed on his bike during a training ride. My friend’s death took me back to my racing days. 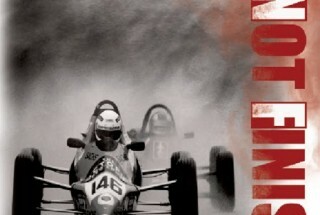 A couple of the drivers I knew died racing. Their deaths, like Paul’s last year, are a little hard to take. It’s easier to accept someone’s death when it due illness because illness is natural and something we don’t have a defense against. We never think the things we do for fun will kill us. I’ll be honest it was a little weird going out on after Paul’s death, but it didn’t stop me. Naturally the question came up that maybe I should stop, especially after my crash the year before. I’ve been told that I can’t afford another head injury. 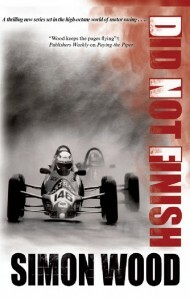 The question of stopping was a conversation I had with my mum when one of the drivers I knew was killed at a race. My mum wanted me to stop. I couldn’t then and I can’t now when it comes to my cycling. Racing like cycling is something that makes me happy and I can’t walk away from that regardless of the risks. When Dan Wheldon died a couple of years ago, my writing and racing buddy, Rick Helms said, “Racing drivers have the most remarkable ability to—on one hand—place themselves into amazingly dangerous situations while—at the same time—engaging in complete denial that this could by their day. Not one driver in the race at Vegas today strapped into the car fearful for his or her life.” And Rick was right. I don’t know if you call it compartmentalization or passion trumping good sense or plain denial, but I never once strapped myself into a racecar fearing for my life and I feel no different riding on roads where careless drivers are in large numbers. I won’t say I’m not scared from time to time, but I’m more frightened of being frightened. 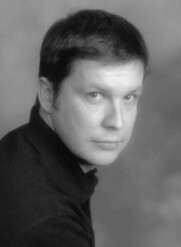 Occurrences like an untimely deaths acts as a reset. This incident has reminded me yet again that I’m mortal and I should be a little more careful and a little less reckless. An incident like this also reminds me to follow my passions and know that there’s a price that I and my loved ones will pay. This is true for racecar drivers, cyclists and all pursuits of the heart. 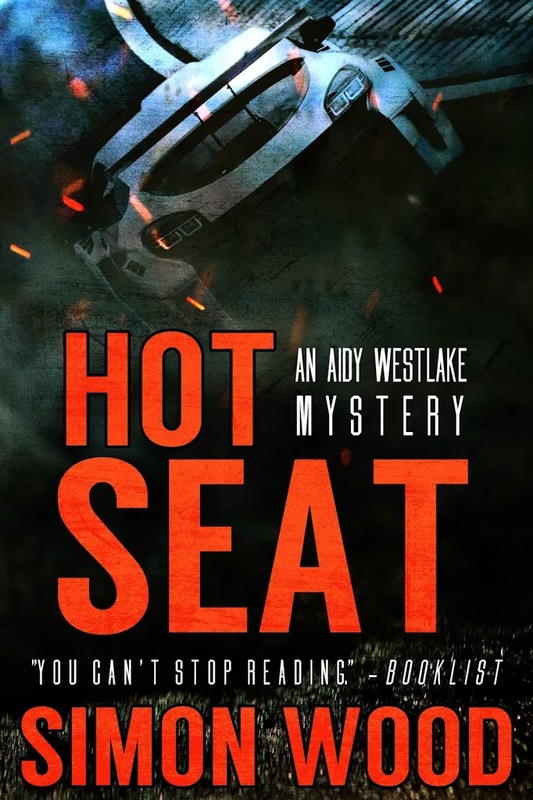 Audible has bought the audio rights to the Aidy Westlake series. They picked up DID NOT FINISH and HOT SEAT with an option for a third title. You could see the audio books available very soon and I’m eager to know who will voice, Aidy and the gang. I hope you’re looking forward to this as much as me.